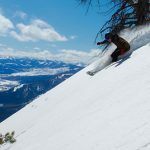 As one tester so eloquently put it, “The Armada Invictus 99 Ti is a ski for grownups!” Stable in all conditions, this ski makes big, confident turns, especially off-piste. It is not an especially lively ski, and there are some mixed reviews on how it floats, but it will calmly blast through bumps and crud. The Invictus 99 Ti is one smooth riding ski with a buttery feel wherever you like to arc off-piste. It features two layers of Titanal, a 100 percent woodcore with hardwood stringers, carbon struts and something Armada calls “Intelligrid,” which is basically a carbon mesh for extra dampness. This ski got high marks for its stability and penchant to carve on mixed snow conditions. There’s a preference for mid to long-radius turns with a wonderful predictability and very good hold from edge to edge. 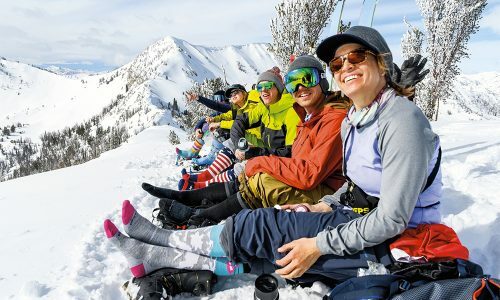 The AR Nose Rocker, which is not as pronounced as some of the other skis in the All Mountain Category, also make the ski easy to initiate while still providing an abundance of ski to snow contact. That low profile rocker also earned this ski differing marks on how well it floats. 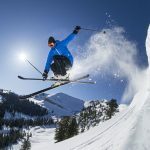 Most testers felt this was a ski that is better at plowing through mixed snow conditions, rather than porpoising through the chowder and mank. The Titanal and Intelligrid also means the Invictus 99 Ti is not a ski that does short turns well. It also does not feel very lively underfoot or have much pop. 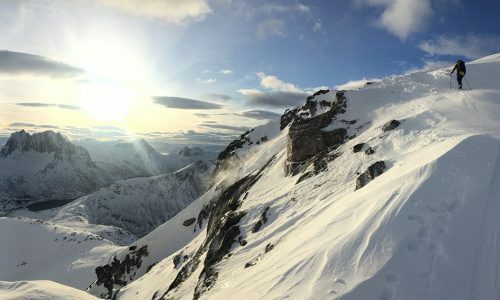 It is a confident, big terrain machine for skiers who ride big mountains and want to eat big bowls of vertical for breakfast. 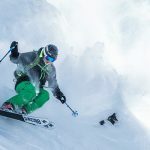 The Armada Invictus 99 Ti earned “Excellent” rankings from the majority of skiers who tested it, as well as two “Good” rankings and one ranking as “Favorite.” It’s built for handling off-piste conditions with power and stability, while maintaining maximum edge hold and ski to snow contact. This is not a ski for anyone who likes to lay down quick carves or who prefers a ski that pops rather than one that is exceptionally damp. 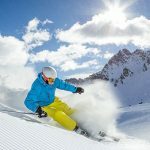 We give this ski a strong recommendation for advanced to expert skiers who want to tackle steep terrain and big lines with a ski that excels at making big carving arcs. The Invictus 99 Ti is easy to initiate, and once in a turn holds a long powerful edge. 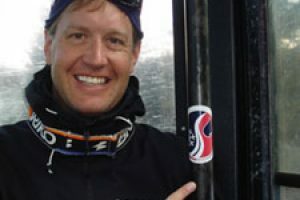 That being said, it does need to be driven, it’s not for skiers who tend to sit back even a little bit –the ski is too powerful to mask any inefficiency – and is built to reward proficient skiers who know how to attack the fall-line with confidence. 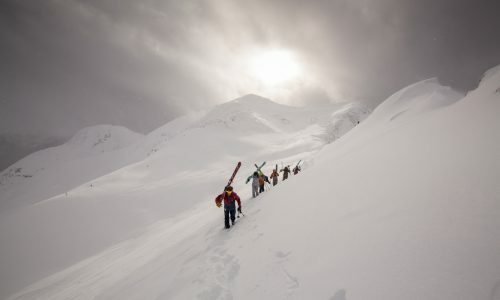 It is not a ski for anyone who wants a lot of energy underfoot precisely because it is so damp. Stability gets top marks as the Invictus 99 Ti’s woodcore, layers of Titanal and carbon ingredients make it one of the most consistent, hard charging skis in the All Mountain Category. 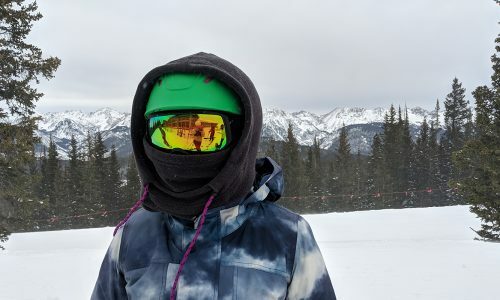 The ski was at its best in mixed snow conditions, where testers felt they could maintain the same deep edging style while literally blowing through any powder, mank or crud that got in their path. GS-style skiers will love how calm and predictable this ski feels underfoot. Float is one of the weaker aspects of the Invictus 99 Ti, as the AR Nose Rocker is too low profile to really provide any extra quick turn ability when the snow gets deep. 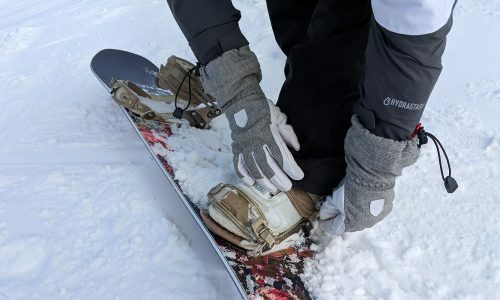 It did feel a bit more like a Frontside ski in the Float classification, relying more on its power and Stability to handle off-piste conditions, rather than a lighter shovel design or more rise in the tip. The Invictus 99 Ti also felt like a Frontside ski in its ability to hold long, deep arcs. This ski can Carve with the best of them, as the woodcore and Titanal layers really boost the ability to grip and rip. A pleasure at medium to long-radius turns, the Invictus 99 Ti is among one of the top Carving skis in the All Mountain category and a strong pick for big terrain use.